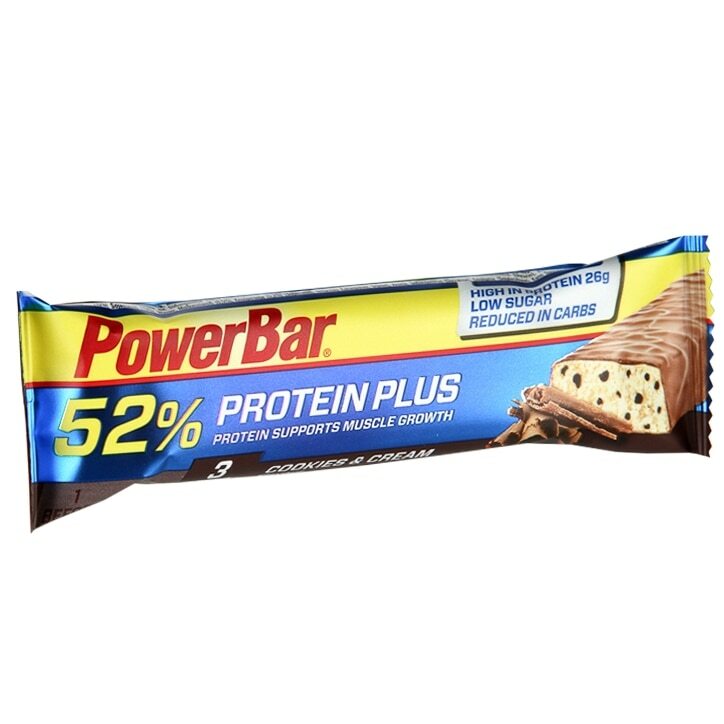 PowerBar ProteinPlus 52% Bar Cookies & Cream is rated 4.8 out of 5 by 5. Rated 5 out of 5 by bil59 from Grat product Tasty and healthy! 26gr proteins, no sugar, very little fats, could you find better bars? I don't think so, it's so far the best bars I ever tried. The only bad point is the price, it's not justified. Rated 5 out of 5 by Lukasz from Great food All good . Everything great. No problem at all!!! Rated 5 out of 5 by Badders00 from Tasty, great texture, great macros tastes great, not too sweet, decent macros, great! Rated 5 out of 5 by Cornelius from Great tasting My opinion is that protein can be fun so this tastie little treat tickled my tastebuds. It provides an adequate quantity of protein to boost my intake. I always looked forward to my next bar. So I recommend to those that like good fun filling.